According to the WatchTime 2012 Buyers Guide magazine, there is renewed interest in simple, basic, elegant timepieces that focus on the essential function of telling time. The magazine called it the classical revival. To some degree, they said the classical revival is a reaction to large, boisterous, timepieces that sport huge cases and oversized dials. For prestigious Swiss watch makers the test of design and craftsmanship has always been getting reliable mechanical functions into an aesthetically pleasing and slim watch case. Venerable watchmakers like Zenith and Vacheron-Constantin have released watches in recent years that mimic their classic models of the 1950s and 60s. The Zenith Elite Ultra Thin is a simple elegant watch with a round face, baton markers, and a small seconds hand sub-dial. The Vacheron Constantin Historiques line includes the round Ultra Fine 1968 and the square Ultra Fine 1955. Both sport simple graceful faces with minimal markings and complex mechanical mechanisms beneath the surface. These high end watches are made by craftsmen working to the most exacting standards. They are heirlooms to be passed from generation to generation in some of the world's most elite families. 1. Bulova Classic Quartz Silver Dial Watch. Bulova makes some very accurate and sophisticated quartz watches. At $400 or $500 the Bulova Precisionist line is a marvel of modern design. But, the venerable company also makes many traditional quartz dress watches that are perfect for no nonsense business attire. 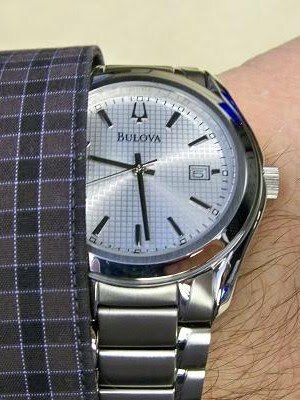 My $99 Bulova (Model 96B168) has a slightly technological look due to a subtle grid pattern underlying the dial. Other models have a sunburst design. 2. 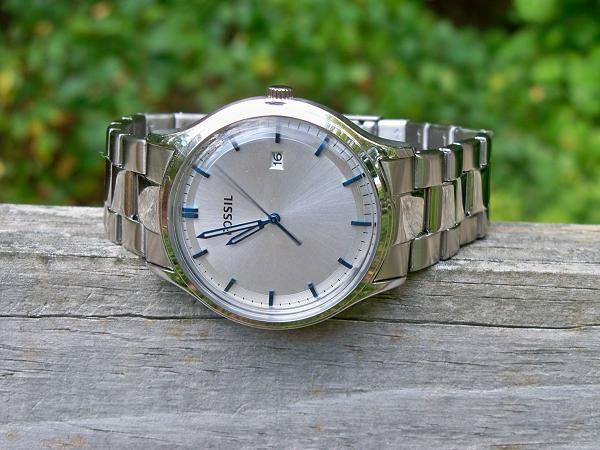 Fossel Ansel Vintage Style Watch. 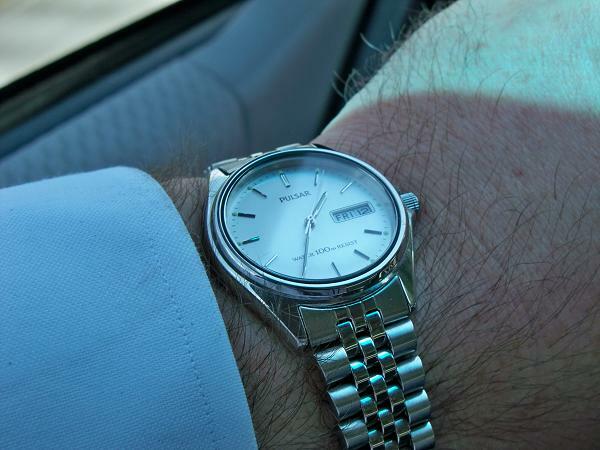 If you are of Generation X, you probably remember the watches your father and grandfather wore. They were simple, fairly, slim, and they had plain faces and hash marks on the hours. In short, they were attractive, minimalist, and superbly functional. Fossil brings that look back in a more contemporary quartz package with a larger face more in keeping with today's fashion. The retro look of the Fossil Ansel works well. 3. 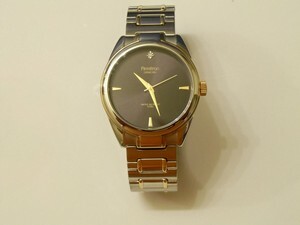 Pulsar Men's Analog Dress Watch. Silver on silver is one of the coolest color combinations on any man's watch. My old Pulsar does the job well. It's cool, competent, and perfect for job interviews. A watch doesn't have to scream for attention. Sometimes it can better serve you by standing competently in the background and adding to your aura of competence. Of course, in the right light, the dial of my Pulsar looks much like the dial of the more expensive, automatic, Ebel Classic 100. 4. Timex Weekender. Simple. Readable. Indiglo. Preppy. 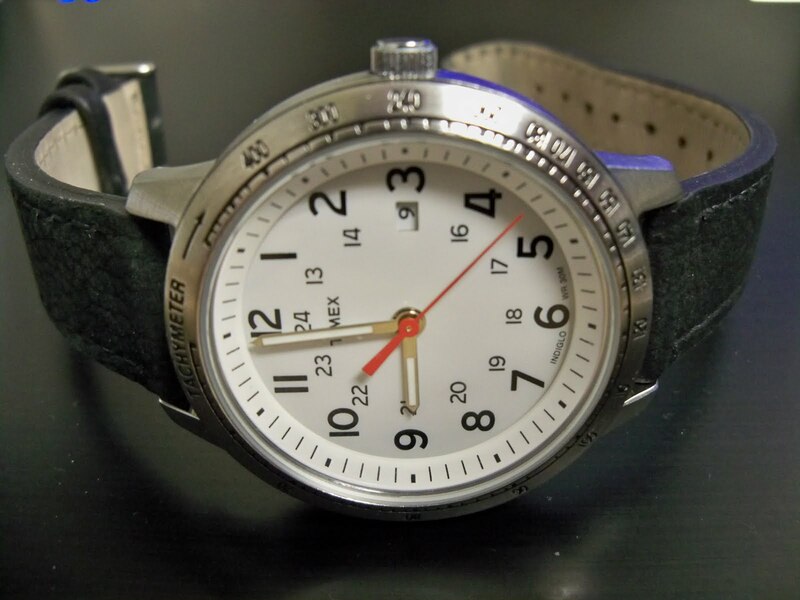 The $35 to $45 Timex Weekender looks like the watch you'd wear at your summer place in the Hamptons. 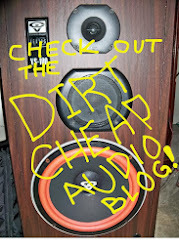 It offers tons of preppy practicality in a non-snooty package. It's an affordable classic. Plus, the Swiss don't have Indiglo backlighting at one thousand times the price. 5. Armitron Diamond Men's Analog Dress Watch. Of course, not all classical watches are plain and functional. Some achieve a dramatic look with an accent jewel. For example, most Movados have a timeless elegance. At a sub-$100 price point, you might take a look at the Armitron Diamond series of watches. Mine has a deep brown face, accented with golden batons marking each hour, and a tiny diamond chip at 12 o'clock. It looks great, but not necessarily rich. Classical designs have never gone away. They've just been waiting for you to stop playing SCUBA Steve, Racer X, and Johnny Fighter Pilot. If you are ready for a simple, elegant, timepiece that tells the time and looks professional, your classic watches are waiting. I found a lot of men's watches that are really awesome and my husband will love it.